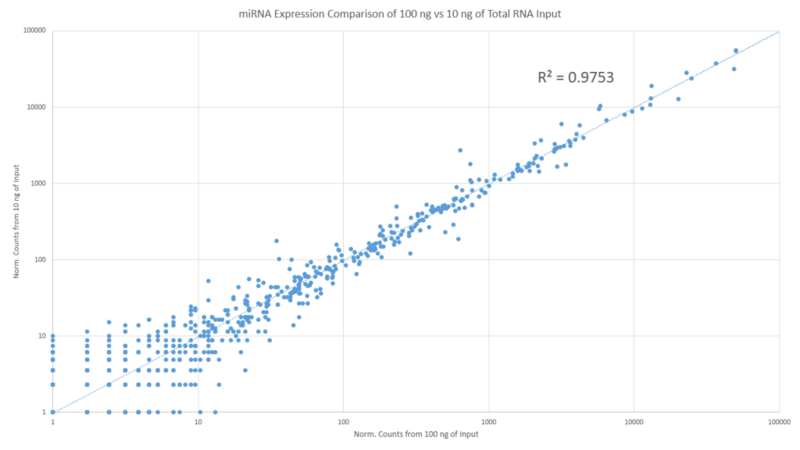 miRNA library generation in one comprehensive kit. Include all necessary enzymes and plastic accessories. Discontinuation notice: This product has been discontinued. 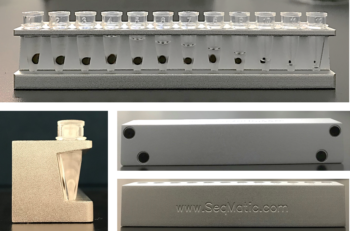 Custom orders may still be placed by contacting your SeqMatic sales representative. We encourage all customers to transition to the our miRNA Sample Preparation Kit V2, which offers a simplified workflow and enhanced performance. For assistance transitioning to our new reagent kit please contact us. 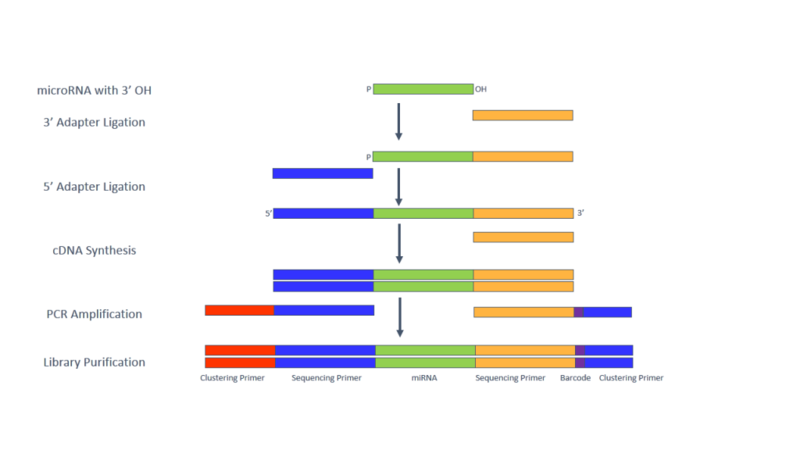 The TailorMix miRNA Sample Preparation Kit from SeqMatic is a comprehensive solution for generating miRNA (micro RNA) libraries for the Illumina sequencing platform, including HiSeq, MiSeq, and Genome Analyzer II. It enables the discovery and profiling of small RNAs from various organisms and tissues. Our unique TailorMix reagent solution has been developed for simplicity and reproducibility without sacrificing quality or yield. 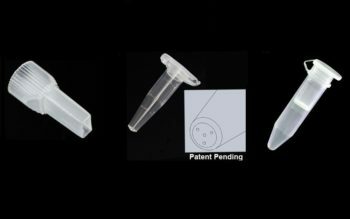 Each kit contains reagents for 12 reactions with 12 unique barcodes. Figure 1: Electropherogram of PCR product showing libraries generated at 100ng, 50ng 25ng, and 10ng. Figure 2: Electropherogram of final library generated from Total RNA showing high purity and yield. 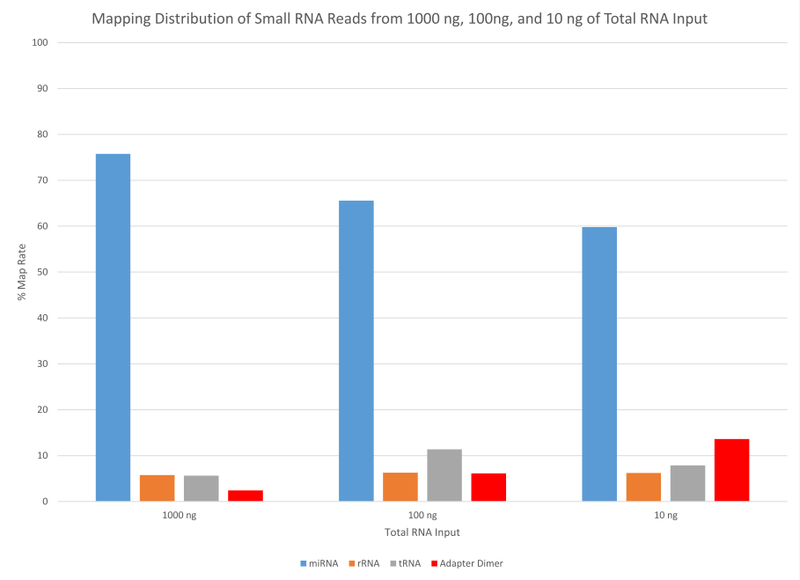 Figure 3: Comparison of data quality from input amounts ranging from 1000 ng to 10 ng showing high miRNA sensitivity and low contamination. Figure 4: Expression profile comparison showing consistency with as low as 10ng of data.